Long Answer Questions enable your students to apply their understanding of topics in more detail. They are self-marked against a model answer. This article is for creating Long Answer questions using the Advanced Editor and is intended for use by teachers who have received training from Education Perfect. It is possible to create questions that will not function using this version of the editor. If you're unsure, please refer to this guide. Start by going into your Content Library. Check that you are in Edit mode by clicking on Edit in the top right hand corner of the Content Library. 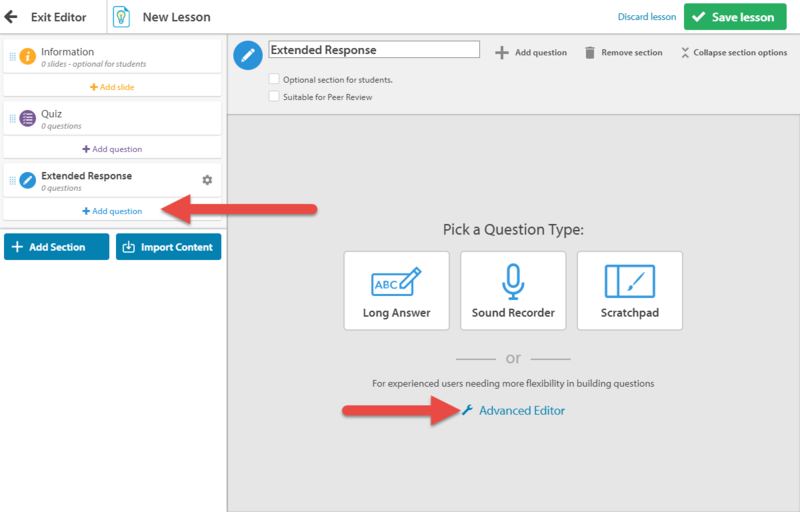 Next select Add Content and then Smart Lesson. Add a question to the Extended Response section by clicking on Add Question. Then select Advanced Editor. A prompt will appear. Read the prompt and click Open Advanced Editor. You'll then be taken to the editor and will first need to select the relevant template. For creating a Long Answer Question, there are three options. Long Answer Question, Long Answer Question (Picture), or Long Answer Question (Sound File). You can embed media in to any of the three templates. The main difference is that Long Answer Question (Picture) and Long Answer Question (Sound File) have pre-defined spaces for embedding images or audio. For the purpose of this guide, select the Long Answer Question template from the list of question templates. The next step is to enter the question that your students will be asked. 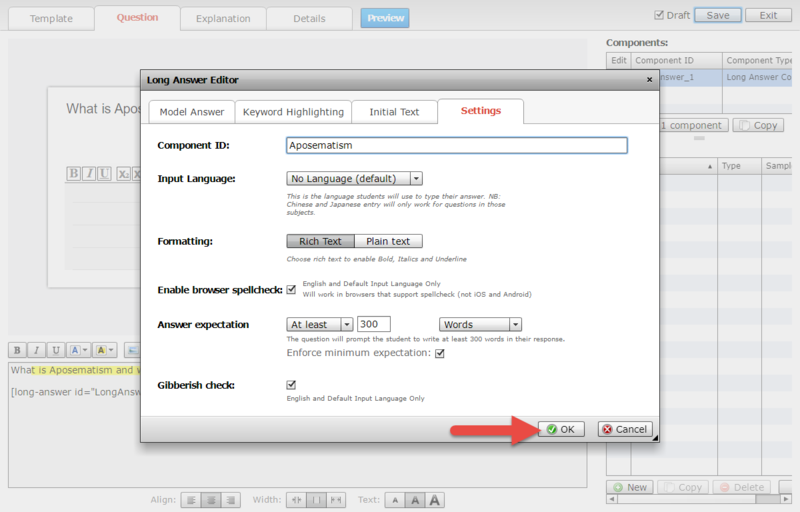 Click the textbox and then select Edit or simply begin typing in the text editor near the bottom of the page to enter your question. 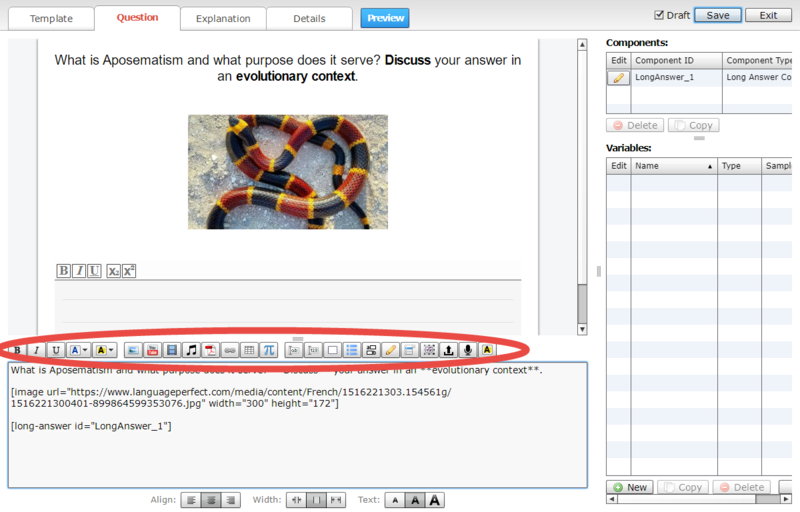 Use the toolbar above the editor to further customise your question. To embed media, select one of the four relevant icons. We have a library of images, sound files and videos available for use. You can also choose to upload your own files and embed YouTube links. If you're uploading your own media, the following file formats are supported. For images, .bmp, .jpg, .gif, and .png; for videos, .mov, .mp4, and .m4v; for audio, .mp3, .wav, and .m4a. Select the Edit button under Components. This will take you to the Long Answer Editor. 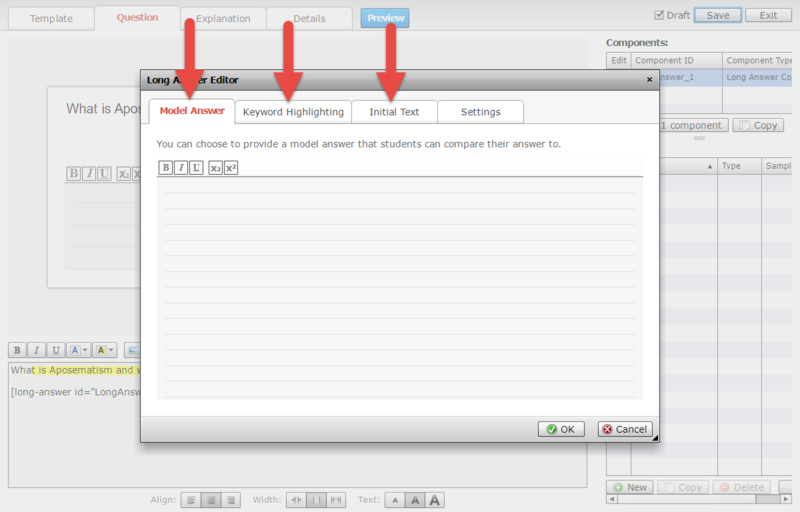 From this editor you'll be able to add a Model Answer for students to compare their answer to and add Keyword Highlighting that will highlight keywords when a student checks their answer. You can also add Initial Text, this can be reference material that students will see before they being answering the question. Simply click on the corresponding tab and use the provided text editor to customise these features. The Settings tab allows to customise additional settings for the question. From this tab define a specific input language, toggle the use of Rich Text such as Bold, Italics and Underline. You're also able to choose whether or not students will be able to utilise their browser's spellcheck feature. 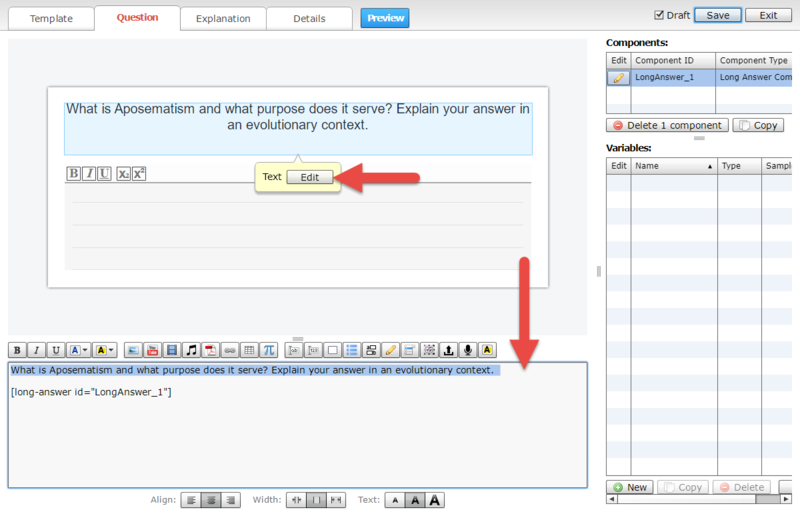 The Answer expectation option can be used to ensure that students submit answers of a specific size. This can be be customised to enforce a word count, sentence count, or paragraph count. Lastly, the Gibberish check setting can be used to ensure that students are not entering gibberish text to bluff word counts. Click OK to save your changes and exit the Long Answer Editor. Next, click on the Explanation tab. This is where you enter an Explanation that students will see if they answer incorrectly. 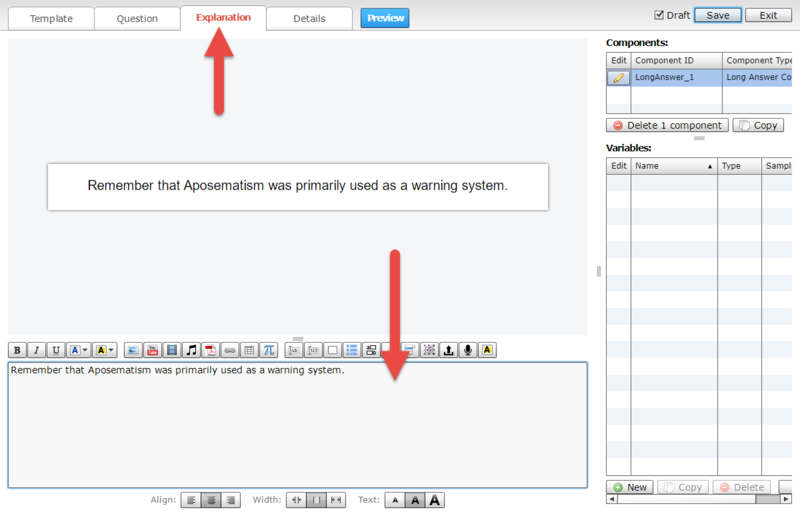 Simply enter the explanation into the text editor. Click on the Details tab. 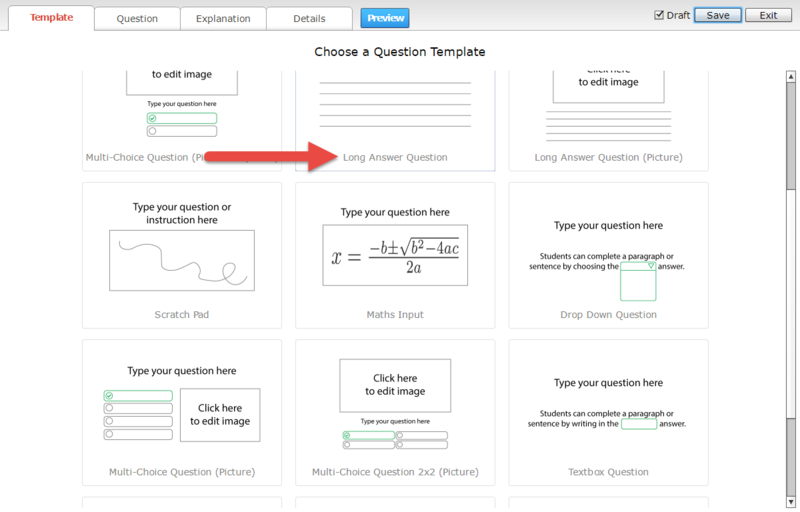 This tab allows you to title your question, set an allowed time, and add question notes. 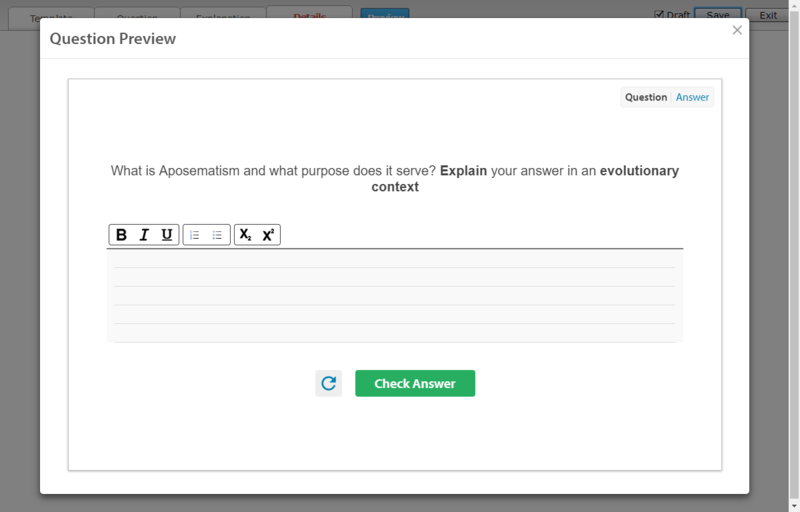 Click the Preview button to see what the question will look like for students. 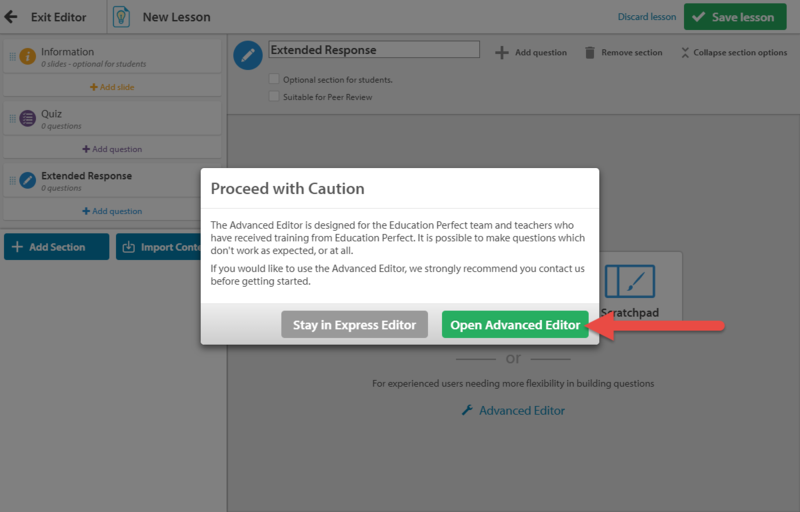 If you're happy with the preview, click on Save to save your lesson and then click Exit.